The Eurographics Digital Library Archive is freely accessible regarding the bibiographic and the metadata content. Only the access to most of the full-text documents is restricted to Eurographics members with an electronic subscription option or to people from institutions which have an Institutional Membership in Eurographics. For authors: Open Access is possible: Please visit Eurographics Licensing and Open Access Policy fore more details. 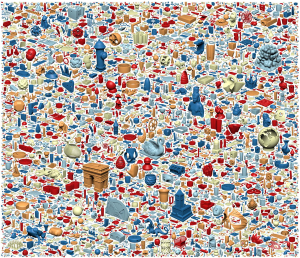 “Thingi10K” by Qingnan Zhou and Alec Jacobson. The international journal Computer Graphics Forum (CGF) is jointly published by the Eurographics Association and Wiley (former Blackwell). CGF is a leading journal for in-depth technical articles on computer graphics. Each CGF volume includes: three regular issues, the annual Eurographics Conference proceedings and, since 2008 volume, the proceedings of three selected EG Symposia and the proceedings of Pacific Graphics conference. Reimplemention of SRM based on a redesign built on ASP.NET MVC and MSSQL — Detailed information about the system and a powerful help can be found in the SRM Wiki https://wiki.eg.org/SRMv2Wiki/index.php/Main_Page. These pages give details of the various publications currently available through Eurographics. The Eurographics Bibliography Database contains BibTeX database files for Eurographics publications. In this section you will find all information you need for publishing through Eurographics.